Hayley Hamilton, LICSW, LADC joined Hannah’s House this summer and brings over twenty years of experience working with a wide spectrum of individuals who may be struggling with a variety of mental health and/or substance use issues. She is working in both Waitsfield and Waterbury and is willing to see students at Harwood Union High School and Middle School. She received her MSW from Hunter College in NY after maintaining a career in business and teaching. 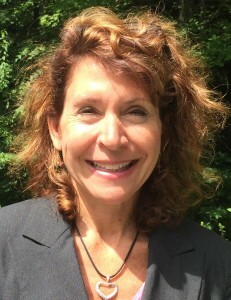 She has worked in alternative school settings, therapeutic foster care, childrens hospitals, outpatient mental health and substance abuse clinics and most recently as a Clinical Director seeing clients and supervising a staff of therapists. Hayley enjoys helping clients look at the patterns of behavior in their own lives and utilizing compassion and non-judgment, she is able to help identify patterns that may no longer be working and help remove obstacles to change. She uses a combination of therapies including psychodynamic, cognitive behavioral, dialectical behavioral therapy, motivational interviewing, mindfulness/meditation, acceptance and commitment therapy and emotionally focused therapy for families and couples. Hayley believes in a strengths based, solution focused approach that empowers individuals to not only develop stronger daily coping mechanisms but also resolve underlying trauma and narratives from childhood that are blocking clients from moving forward in their lives. She is able to work with individuals struggling with grief, depression, insomnia, anxiety, trauma, substance abuse, eating disorders/body image, stress management, job coaching, complex family systems and couples. She accepts all insurances and provides evening hours as needed.